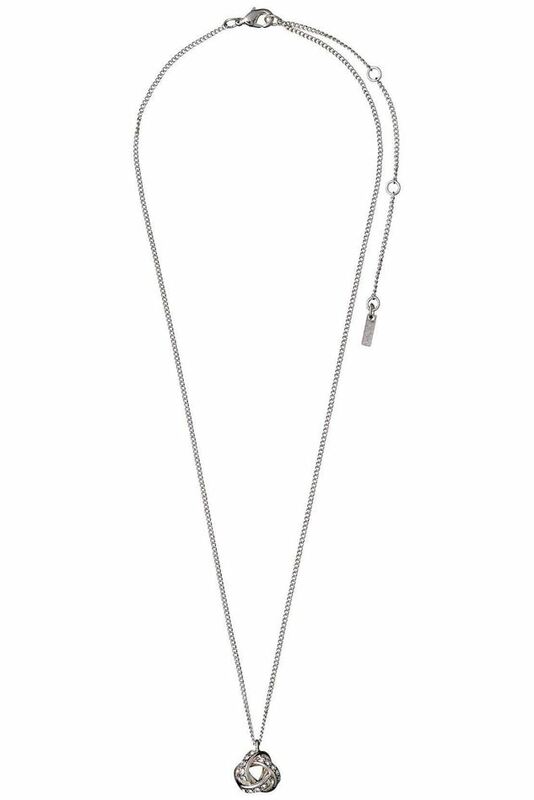 This Katelyn necklace in silver has the range's signature twisted pendant, but in a slightly larger size for extra effect. This Katelyn necklace in silver has the range's signature twisted pendant, but in a slightly larger size for extra effect. A simple chain adorned with the pretty pendant, it's a great formal piece or perfect for levelling up a casual outfit. The crystals on the pendant bring light and personality to the piece. The necklace is 40 cm long and can be lengthened by 9 cm. It is silver plated.